Taking great care in putting together your CV can have its benefits. We’re not only referring to the actual task of filling in your personal details and presenting your qualifications in a logical order… we are also referring to the things that you can do to enhance your CV, no matter where you are in your career! 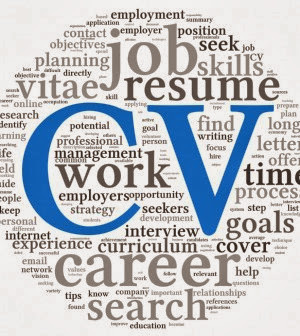 Here are 5 things that you can do to improve your CV… and that will set your CV apart from the rest. Whether you are at school, college or university and even if you are already working, putting in the time for community service or to work as a volunteer is not only rewarding, but it also shows future employers that you like to take time out to do something for someone else. By gaining work experience you are showing initiative by engaging with the industry that you want to work in. Your future employer will see this as an advantage, because they will accept that you have experienced the working environment and that you do not have unrealistic expectations of the job. Hobbies like photography, writing or even participating in a choir amongst others indicate that you enjoy a variety of skills and that you understand the importance of achieving balance in your life. Much like having a hobby, sport indicates that you understand the importance of a healthy balanced lifestyle. It also assists with skills like hand-eye co-ordination and teamwork. Short courses are an easy way to develop your skills in your current field of work or to develop a new set of skills that you will be able to apply immediately, once your course is completed. You get to complete these while you are still working, so you do not have to interrupt your work schedule in order to give yourself a head start! Short courses also show future employers that you are eager to continue learning. Eduloan offer loans to suit your educational needs. We also have loan options that cater for specialist equipment for your course like textbooks, laptops and even tablets! If you are looking to further your career with a study loan, you can contact Eduloan and one of our consultants will be able to give you all the information you require to get the financial assistance. For more information or to speak to one of our Eduloan consultants, visit our website www.eduloan.co.za.